Two memoirists with terminal illnesses wrote best-selling books about their final days, said journalist Nora Krug. The spouses they left behind began emailing to offer support and advice, and felt a powerful connection. THE LITERARY PAIRING was inevitable. 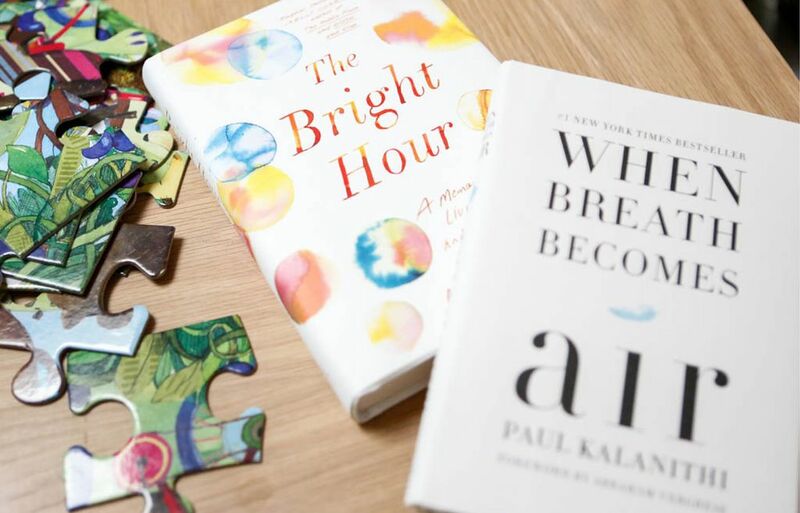 When Breath Becomes Air, Paul Kalanithi’s memoir of his final years as he faced lung cancer at age 37, was published posthumously, in 2016, to critical acclaim and commercial success. The Bright Hour, Nina Riggs’ memoir of her final years as she faced breast cancer at age 39, was published posthumously, in 2017, to critical acclaim and commercial success. The two books were mentioned together in numerous reviews, lists, and conversations. In the final days of her life, Nina Riggs was worried about her husband and how he would get on with his life when she was gone. Nina made an offhand suggestion: Contact Lucy Kalanithi. She has experience with this, she told him; she’ll know what to do. At the time John had only a vague idea who Lucy was. He had yet to finish reading When Breath Becomes Air. Lucy and Nina, however, had formed a quiet relationship. Lucy, whose husband died in March 2015, had contacted Nina after reading a “Modern Love” column she had written for The New York Times, “When a Couch Is More Than a Couch.” Lucy wrote a glowing blurb for The Bright Hour and stayed in touch with Nina’s agent, inquiring about Nina’s health and her family. One of Nina’s final acts, in effect, was to play matchmaker for her husband. So he did as his wife had suggested. His note to Lucy—two days after Nina died—was lengthy and, in Lucy’s words, “obscenely vulnerable.” His requests for advice were wide-ranging: How do I write a eulogy? How do I sleep through the night? How do I not go insane? JOHN GOT THROUGH the eulogy. He got through the next day. But not without emailing Lucy. Over the next few weeks and months, she became his lifeline—and, in turn, he helped her realize that she had come a long way in the two years since her husband’s death. “I felt like your guardian,” she said. “You totally were,” he said. The emails grew in volume and intensity. “We learned that when a Gmail thread reaches 100, it rolls you into another thread,” he said. There were spools and spools of threads, “a Google-plex” of messages, he joked. Their feelings for one another grew and took on new shape. “We talked a lot about the minefield of managing to fall in love and actively grieve at the same time,” she said. In late April, Lucy, who is 38 and a clinical assistant professor of medicine at Stanford University, had a business trip to Raleigh, N.C., about an hour from John’s home. “I knew I had to see her,” he said. Lucy felt the same way. At the time, the two had never spoken—they had made an email-only rule. Seeing each other face-to-face was intense. “We held each other a long time,” she said. There were two dinner dates and, by both accounts, “a lot of chemistry.” Lucy then returned to California. Their relationship was blossoming but still mostly a secret. John’s children—Freddy, 10, and Benny, 8—knew about it, as did Lucy’s 3-year-old daughter, Cady. Nina’s publisher had arranged a dual publicity tour in June for John and Lucy—given the common theme of When Breath Becomes Air and The Bright Hour. Lucy and John were both terrified and excited to be onstage together. At one engagement—a Facebook live event in Sausalito—interviewer Kelly Corrigan jokingly asked when John and Lucy might get engaged. “John turned purple,” Lucy recalled. By the end of the summer, the couple had begun to speak openly about the relationship to their extended family and friends. There were sweet photos shared on Facebook. The families have been getting together regularly—though the arrangements are difficult, with three children, two jobs, and a continent between them. As the kids played in the yard in California last week, John and Lucy bantered about which house is more child-friendly, which has more bedrooms, which climate is better. “We need to find a place in the middle and move there,” Lucy said. They joked about writing a sequel to their late spouses’ books: When Breath Becomes the Bright Hour. At Lucy’s home, reminders of their late spouses remain. 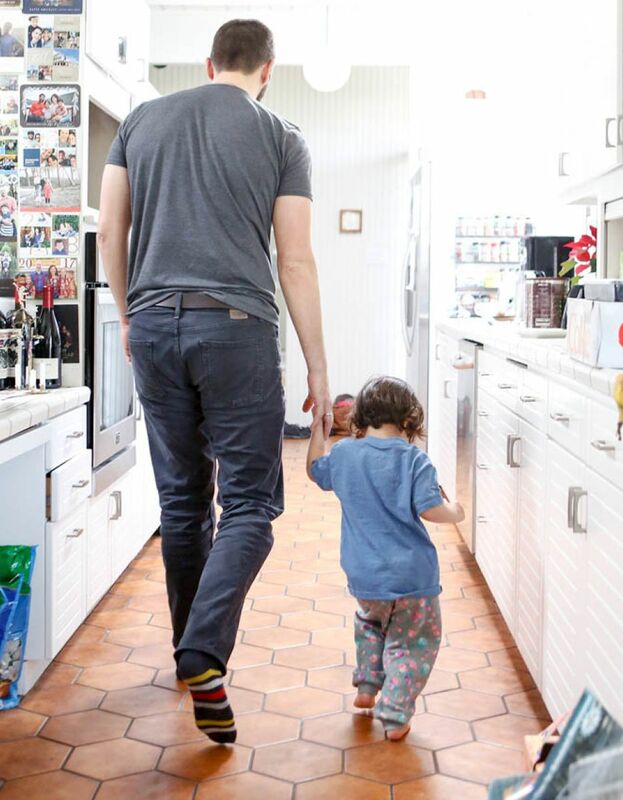 There are photos of Paul in the kitchen and along the hallway; on the refrigerator is a Christmas card of the Duberstein family, including Nina. In an odd coincidence, Lucy owns the same couch Nina featured in her column. Both John and Lucy still wear their wedding rings. As the couple and their children celebrated the New Year’s holiday together, there was a warmth and cohesiveness that made the group feel, as Cady says, like “a whole family.” John sliced apples for Cady; the three kids drew and played games together. 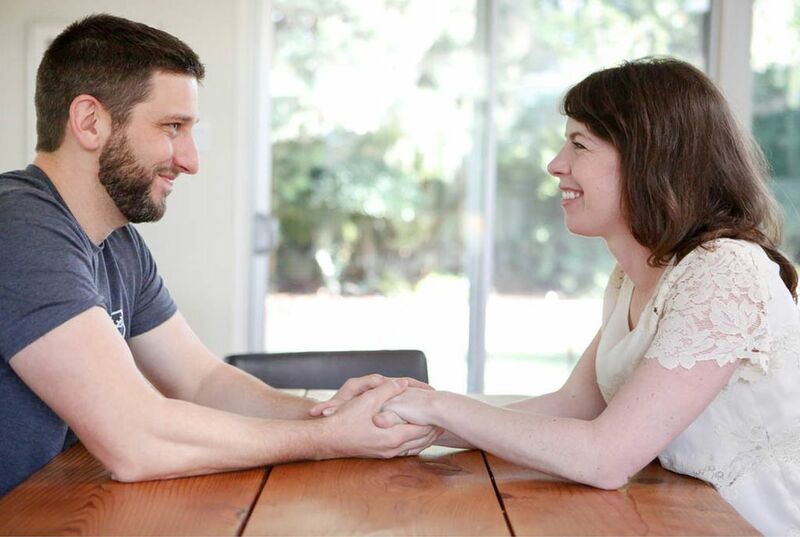 In person and on the page, Nina and Paul had given their spouses “radical permission,” Lucy said, to enter new relationships, even to remarry. But following through on that brings up complicated emotions. “I planned to spend my entire life with Nina. I was 100 percent happy doing that,” John said. Nina’s death forced him onto another course. “Having a second relationship is a tragedy,” he said. But he acknowledges with deep gratitude the series of fortunate events that have led him to Lucy—a woman his wife had tacitly approved. For now, they are relishing their time together, in all its complexity. On Dec. 31, Lucy, John, and the three kids headed out to visit Paul Kalanithi’s grave, which overlooks the Pacific Ocean. They played Paul’s favorite music and blew New Year’s noisemakers. Together with members of Paul’s extended family, they watched the last sunset of a sad, happy, and surprising year.